One of the major benefits of having a program like MetaStock is the powerful search engine (explorer) that scans the stock market for trading opportunities based on your own search criteria. This begs the question, “What do I scan for”? Opportunities come in all different shapes and sizes, and with trading; one size doesn’t always fit all. After spending many years in the stock market software industry, a common complaint was the lack of “off the shelf” scans that actually work. A good exploration or scan should reject about 99% of the market. 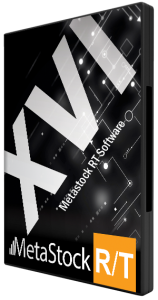 Oracle 7 consists of seven finely tuned scans that boost the power of MetaStock by delivering precise results. These scans are based on our extensive trading experience, customer feedback and common sense and have been specifically created for the Australian market. 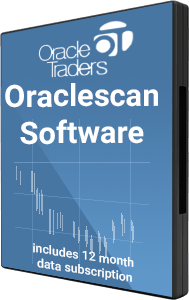 We are very proud of the quality of the scans in Oracle 7 and know they add real value to the MetaStock program whether you are a short, medium, or long term trader or investor. It has pre-built Daily, Weekly and Monthly search parameters. 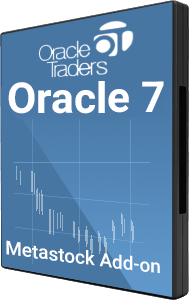 With a couple of mouse clicks; Oracle 7 gives MetaStock users the ability to search for practical trading opportunities that offer a high probability of success. This scan tends to work best on large cap stocks. It looks for stocks that are exhibiting the beginnings of a bullish trend. It uses complex momentum syntax to calculate entry signals. This exploration works very well on both daily and weekly data. This scan examines a stock’s previous price history and volume characteristics. A stock is selected when an unusual price movement is combined with abnormally high volume as well as being above the moving average. Underlying strength looks at the previous couple of monthly bars and selects stocks that have closed within the upper monthly ranges. Today’s closing price must be higher than the prior months closing high. This scan is designed to be run on monthly data for best results. Stocks making higher highs and displaying continued strength should remain on your radar. Great for the longer term investor or trader. Get onto the right side of a defined trend. This scan finds stocks displaying strong bullish trends; many of these stocks are making new highs, and breaking into uncharted territory. Best results are achieved by running this exploration on weekly data. This is a simple scan that finds stocks trading within 5% of their yearly low, the stock must also have closed on its high for the day. Unlike most Oracle 7 scans, this one looks for weakness and finds stocks that have possibly been over-sold. The Range trader uses a Zigzag Indicator to gauge pivot points, the “range trader” looks for consistently higher highs and higher lows. It will display stocks where there has been a short term pull back in a long term up trend. The “retracement finder” looks for stocks that are currently trading at the 50% retracement level off a significant previous high. We have used a complex range measurement tool to define the range of previous pivot points from a low to a recent high. This scan is for the Fibonacci fans out there and often gives you a great entry point after a strong run up, followed by profit.